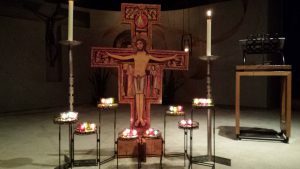 Taize is an ecumenical community in France, made up of brothers from all the continents and major denominations who gather three times a day, seven days a week, throughout the year to pray. Taize worship a prayer service consisting of meditative singing and periods of silence. Please join us for an hour of gentle prayer and reflection, followed by fellowship.